1950 George VI 4d stationery with additional 1d. 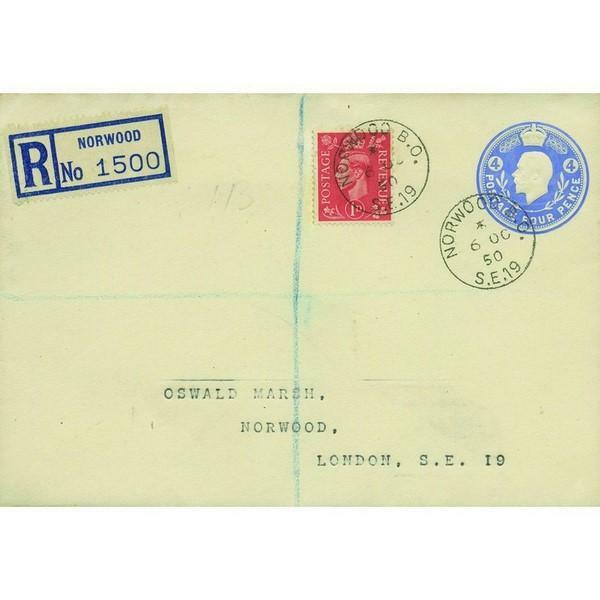 Norwood cds registered FDC. Only 12 exist.